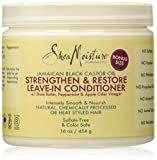 NOURISHES: The Combination Of Certified Organic Raw Shea Butter, Black Castor Oil And Ingredients Like Peppermint Revitalize And Moisturize Dry Hair. 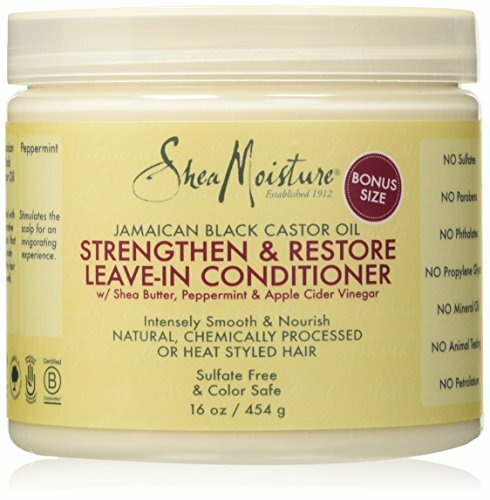 REPAIRS: Loaded With Reparative Omegas, Jamaican Black Castor Oil Nourishes Dry and Damaged Hair. SMOOTHENS: The Blend Of Certified Organic Raw Shea Butter And Black Castor Oil, Smoothens Your Hair And Restores Its Shine. NON-GREASY: The Rich Leave-In ConditionerHydrates Hair And Leaves It Feeling Soft, Shiny And Tangle Free. MOISTURIZES: The Blend Of Certified Organic Raw Shea Butter, Black Castor Oil And A Thoughtfully Infused Mix Of Peppermint And Keratin Provide Ample Hydration To The Hair.